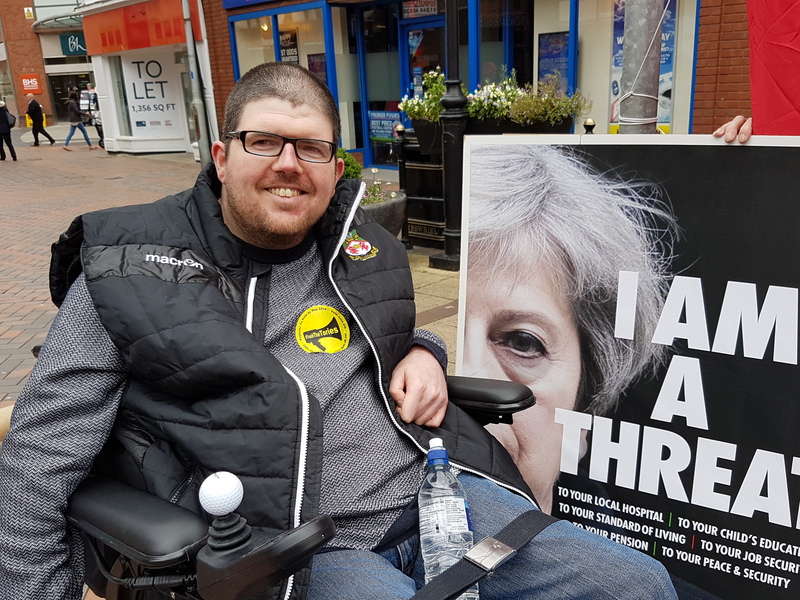 Everyone connected with Disabled People Against Cuts has been working hard on social media to promote the #TrashTheTories campaign. I have been tweeting as if my life depended on it – it sort of does – and now we are sharing these videos in an attempt to illustrate why a vote for the ‘nasty party’ should not even be a consideration. These videos are excellently produced and highlight why we need #GE17 to produce a total change of Government that will work for the many, not the few. 56 year old Andria talks about the harsh reality of being severely disabled in 2017 Britain. So its time for the final push. I will be going around the local village later to post Trash The Tories leaflets that I have left over from my protest in Wrexham town centre yesterday. 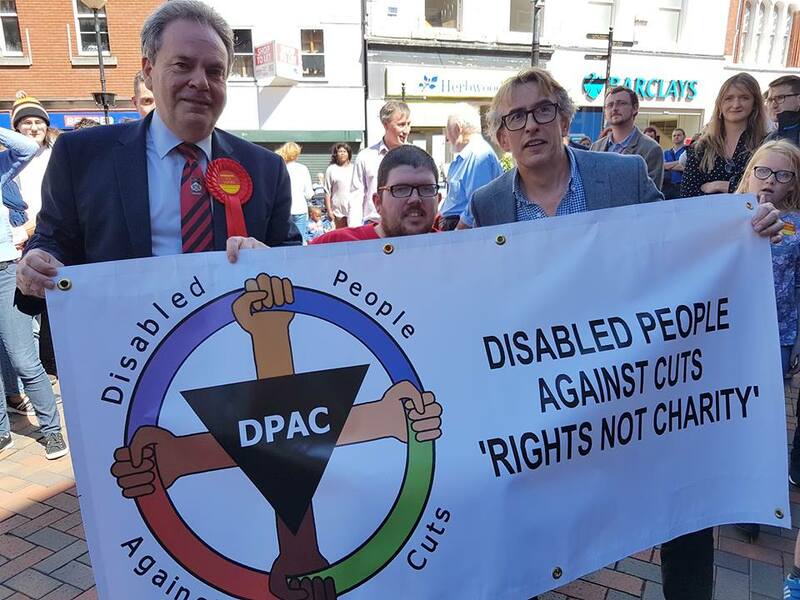 GE17 has been an exciting time that has seen me invest a lot of money in DPAC materials – such as a banner and leaflets – and make many friends as we fight for a change of government. 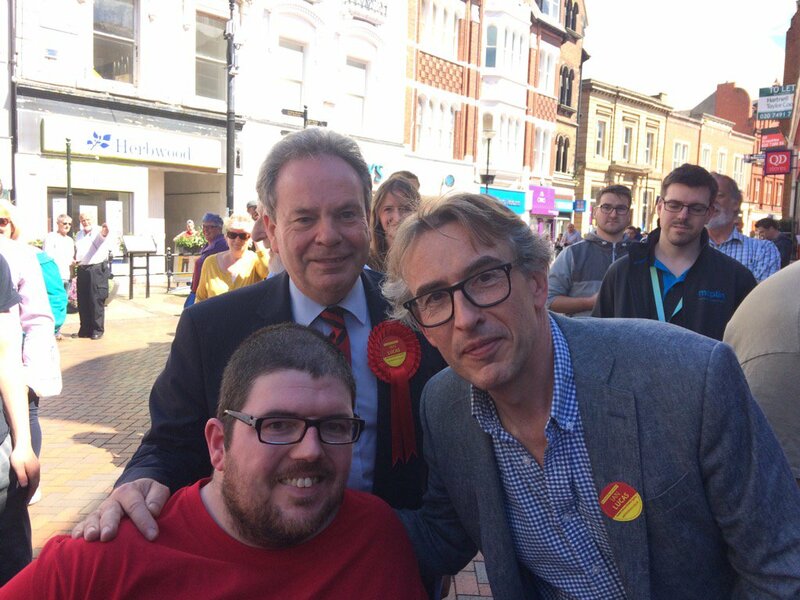 The campaign has allowed me to engage with the local community, meet comedy icon Steve Coogan and flood social media with #TrashTheTories literature. 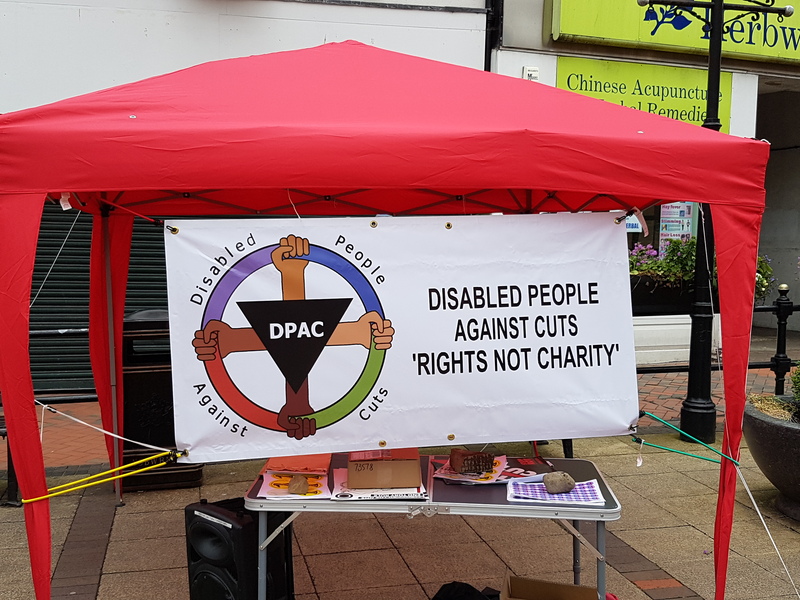 All this has been done in the name of Wrexham DPAC which I hope will continue to grow and prosper long into the future, whatever the result on Thursday. 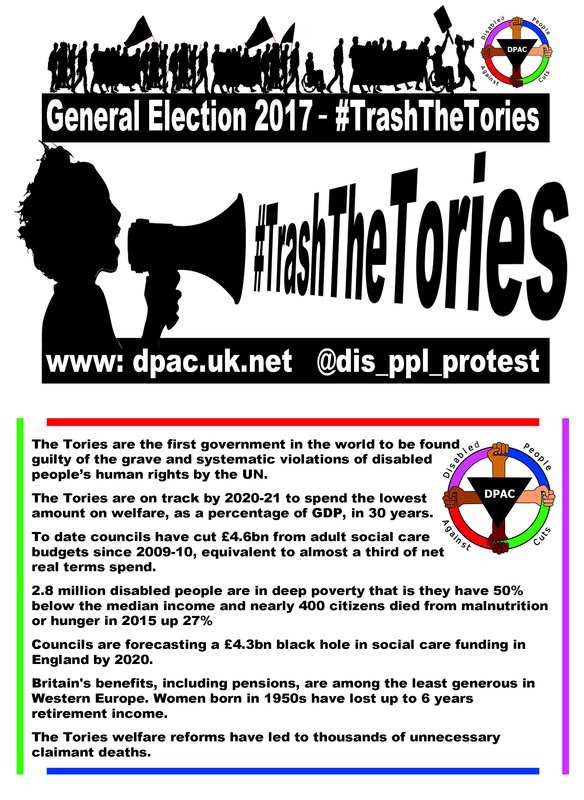 I’m sorry to have to rush this blog entry but there is still time to convince people to #TrashTheTories and #VoteLabour. David has Bipolar disorder. He discusses how this condition affects his everyday life and how stress is easily triggered. The assessment process has worsened his health.